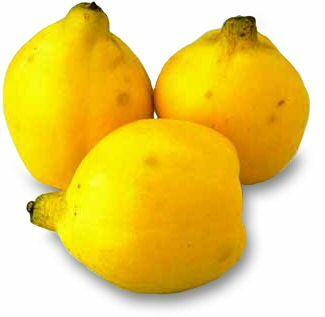 Buy Portugal Quince trees for sale online FREE DELIVERY from UK suppliers of garden fruit trees. An early ripening variety of Quince, Portugal (Cydonia oblonga 'Portugal') produces high quality Quinces for cooking and preserving, being particularly good for marmalade. The Quinces turn pink when cooked. 12 Litre :2-3 years old, 150-180cm tall and comes as a bush shape on a Quince A rootstock. 12 Litre Half Standard	:2-3 years old, 180-220cm tall and comes as a Half Standard (lollipop shape) on a Quince A rootstock. 12 Litre Half Standards 220+ :2-3 years old, 220-250 cm tall and comes as a Half Standard (lollipop shape) on a Quince A rootstock. Our Quince, Portugal is supplied at a height of between 1.5 and 2.5 metres in a 12 litre container, which means that the tree has an already established root system and therefore this tree can be planted any time of the year and with better results than either bare-root or rootballed trees.